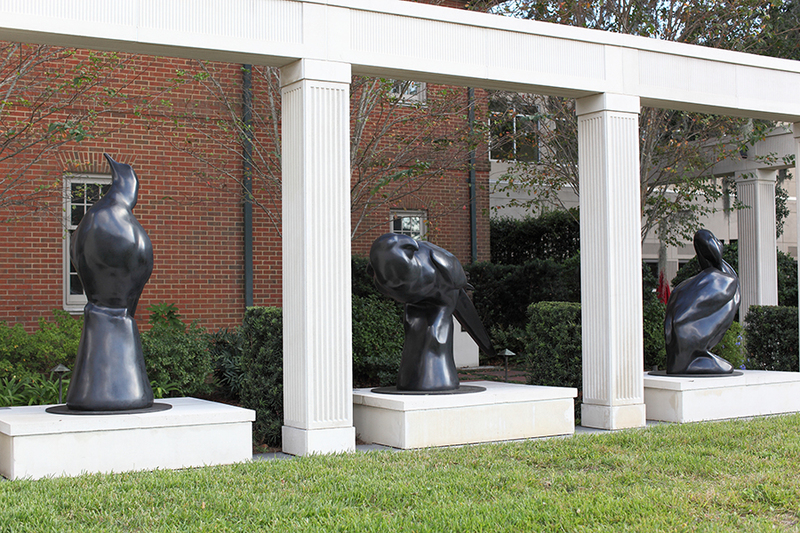 See 4- to 6-foot cast-bronze sculptures of five extinct birds roosting in front of the Florida Museum as a tribute to endangered and extinct species. Learn about these once-thriving birds in this thought-provoking memorial linking art with natural history and highlighting humans’ impact on biodiversity. 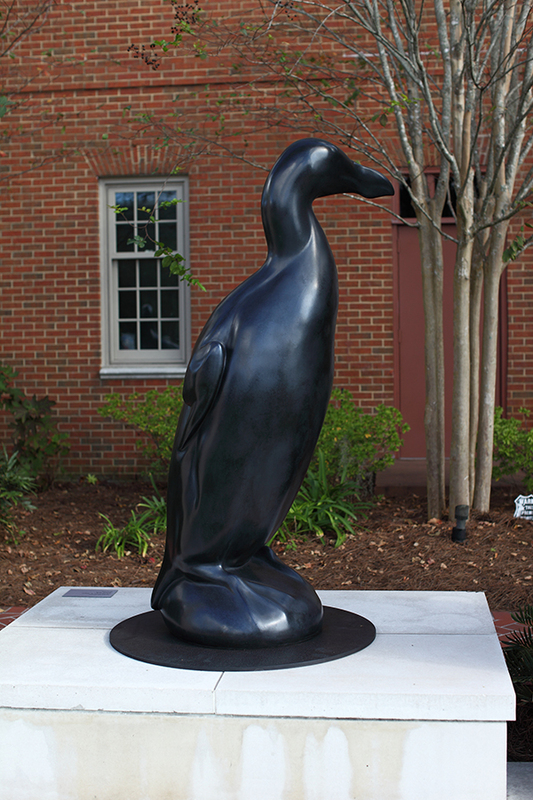 The exhibit comprises sculptures of five extinct bird species: the Carolina Parakeet, Great Auk, Heath Hen, Labrador Duck and Passenger Pigeon. Great Auks mated for life and would take turns when it came to incubation and feeding. 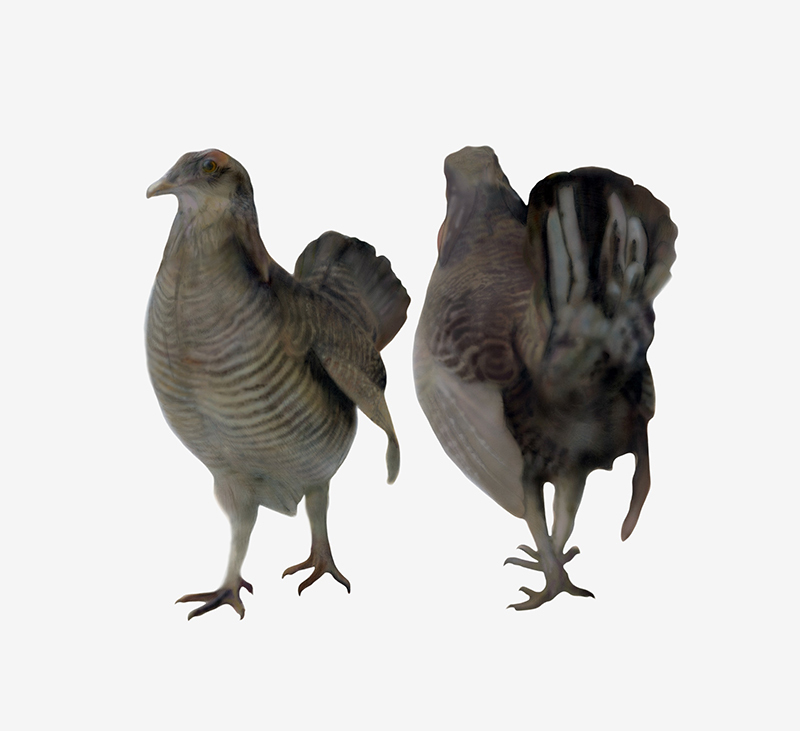 There are theories that suggest the first Thanksgiving featured Heath Hens and not wild turkey. The Labrador Duck was the first North American bird species to go extinct after Columbus’ arrival during the Columbian Exchange at the end of the 15th century. The Columbian Exchange is the transfer of natural resources, technology and ideas between the Americas and Europe that occurred after Christopher Columbus’ 1492 voyage. It’s believed that Passenger Pigeons once made up 25 percent of the total U.S. bird population. Sculptures by Todd McGrain. The Museum gratefully acknowledges the generous support of exhibit sponsor SFI.